How Do I get Get PM Tickets? How Do I Get a New Pokemon in Pokemon Quest? Which Pokemon Should I Pick? How Do I Get a Legendary Pokemon? 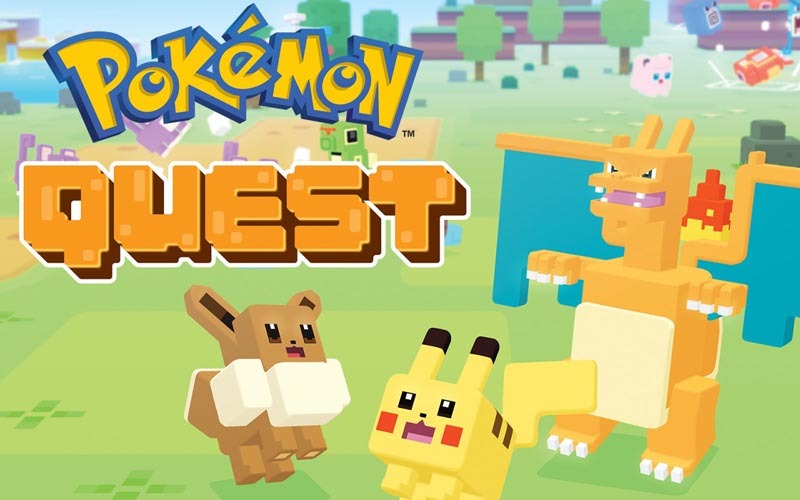 Pokemon Quest is a free-to-play adventure game that is basically a mixture of Pokemon battles, stat leveling, cooking (for acquiring new Pokemon), topped with a voxel-based graphics for its overall design. To boot, this game's developed by none other than Gamefreak -- makers of the most popular Pokemon games out there. The game was initially released for the Nintendo Switch in May 2018, and was ported for the mobile platforms Android and iOS this June 2018. In Pokemon Quest you get to enlist Pokemon to perform an expedition and get them scouring a new found island that is heavy populated with wild Pokemon. The goal is play through the levels using your team of Pokemon - in an attempt to clear the mission and take home loot items that can be used to strengthen your own Pokemon, or earn items that can be used as ingredients for cooking. Unlike any other Pokemon title, you do not necessarily explore the landscape with a character. Instead, you are exploring the island using an exploration drone. Also, instead of catching Pokemon with poke balls, you cook something up with the ingredients you gain from the expeditions, that will lure a random Pokemon - which you'll befriend and use for your expedition. Each Pokemon has its own move set, slots for Power Stones, and a multitude of ways to generally make them stronger. Pokemon Quest also features a Training system, where you get to use other unused Pokemon in your Base Camp to train the ones that you are using most of the time. You can train to make your Pokemon stronger, or train in order to learn a different move set. The game will have you go through 12 different locations, that usually has 4 to 7 levels per location. For each expedition, you get to enlist 3 Pokemon to do the mission for you. You are given the freedom to micro-manage your team - by triggering the time each of your Pokemon attacks, or picking which attack it performs. Otherwise, you can also set the expedition to be auto-played. It is closely a casual game with relatively easy to understand mechanics. Nonetheless, the depth you'll have to go into while trying to power up your team is very amusing as it is relatively new compared to that of what we are accustomed with Gamefreak's other Pokemon game titles. The system in place that makes you sort of power up your Pokemon - feels similar to that of combining different types of materia from Final Fantasy 7, where you'd typically get different effects depending on which stuff you put together. To help you get a grasp of the basics of the game, we've compiled a few tutorials to help you, including some of the most important Tips and Hints when getting started on this game. Welcome to the guide!